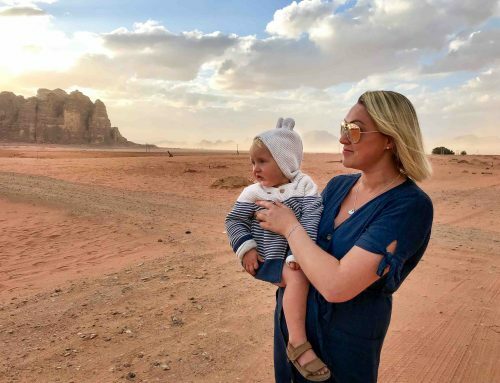 Whatever it may be, flying with a baby can be scary and off-putting, but two baby gap years and countless flights with a baby and a toddler later, we’ve learnt a bit about travelling with a baby along the way. The more prepared you are the smoother the flight will go so here we are to share with you our top tips for flying with a baby. So you have chosen your destination, what next? As a starting point I like to use skyscanner to search for competitive airfares. You can expect to pay approximately 10% of the adult fare for children under the age of 2. Making it all the more reason to get as much travel in early! 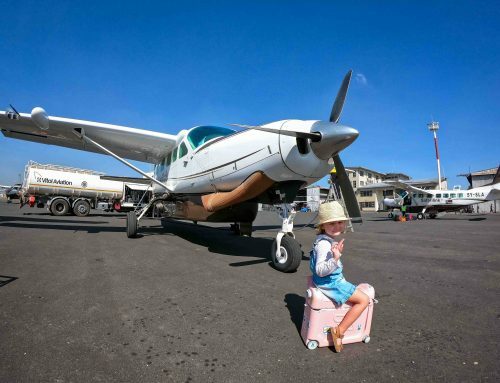 On some of the low budget airlines when they have sales the infant fee comes out to almost as much as an extra seat so do your research – it may be worth purchasing the extra ticket. When flying with a baby, I suggest requesting the front row bulk head seats at the time of booking, especially for long haul flights with a baby. With these seats you can request a bassinet for your baby to use in-flight. You may be able to do this yourself online. If not, you should try to contact the airline to make a request as early as possible. On packed flights with many babies these seats may be claimed long before the flight. The bulk head seats are situated immediately behind a cabin divider. A fold down bench allows for the bassinet or cradle to be attached when the seat-belt sign is off. The airline that provides the bassinet or cradle may have different polices on their use. This may relate to age, weight or height of baby. It is important to check individual airline policies before booking. Equally if you are a nursing mother, you may prefer a window seat for privacy purposes. on the plane and install it because they feel this is a safer option. If you choose to do this make sure to check that your car seat fits within the dimensions of the airplanes seats. The first thing we do after booking our tickets is purchase travel insurance. This is so important, especially when you travel with small children. We like World Nomads. Next we come to packing. Aim to bring as little as possible through the airport. The less you carry around, the less you have to worry about at security. Of course don’t cut down too much and forget to bring these essentials! Whenever you fly it’s important to make sure you bring along all your important documents. This includes a valid passport and visa for everyone flying the baby not excluded. Printing your tickets in advance and having them handy can save time at the airport. It’s also important to note that if you are flying alone with a child that does not share your last name you may need to bring additional documentation. Some countries will want to see a birth certificate (or adoption certificate). We gave the kids my last name as their middle names so that the link between us is clear. is pretty affordable especially when you consider the alternative costs of your overweight baggage.
. This nappy bag has many sections to keep your things organized and makes it easy to stick your hand in a pull out whatever you need without having to dig. It is also a backpack which means one less thing to drag around! Food and drinks for babies do not have a millilitre limit at security. They may test the bottles but it is absolutely fine to bring expressed milk, formula or whatever baby may need. Some people like to print out the government’s guidelines stating this to be true just in case they run into an uninformed security agent. You can find official guidelines for the UK here or for the USA here. If you want more information make sure to check out our articles about flying with formula or breastfeeding while travelling. 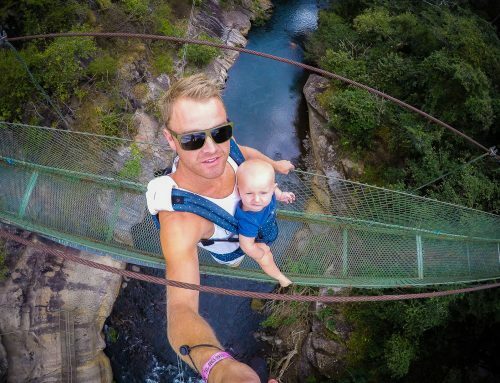 to be great for flying with a baby. You don’t have to take it off completely just to take baby out. It’s kind of like a jumper so it’s better than having to taking everything off and back on again. Since my babies were around 4-5 months old, I started using the i-angel carrier. It has lasted right through the toddler stage too. Alternatively you can take the buggy to the door of the plane. If you are looking for a good travel buggy we like the Mountain Buggy Nano stroller but we also have heard great things about the gb Pockit stroller. Both stroller are great, light weight, easy folding options for your next trip. When taking a long haul flight I like to have baby in her pyjamas. This serves two purposes; it keeps them comfortable and, hopefully, mentally prepares them for a nice long sleep. If your baby has a favorite cuddly this will help them feel comfortable by making the area seem more familiar and safe. 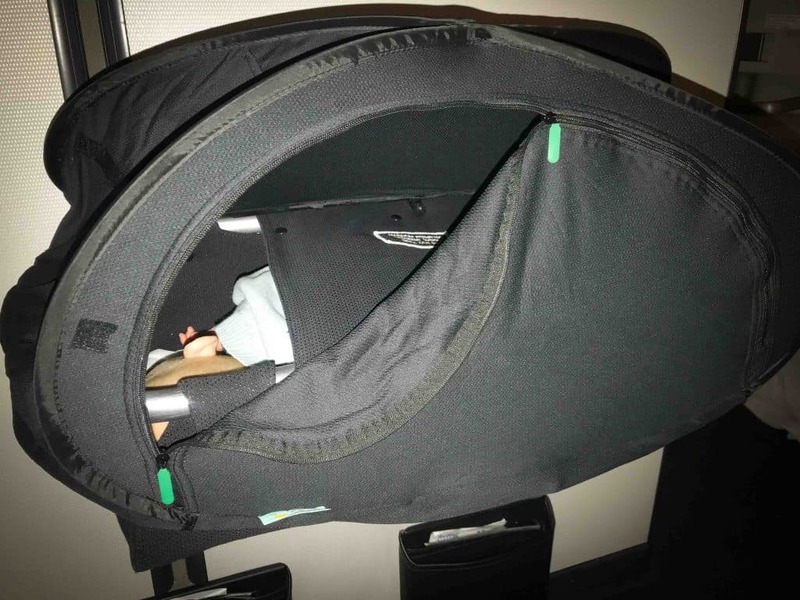 We also like to bring along a CoziGo to cover the bassinet to block out light and distractions. You can see our full review of the Cozigo here. 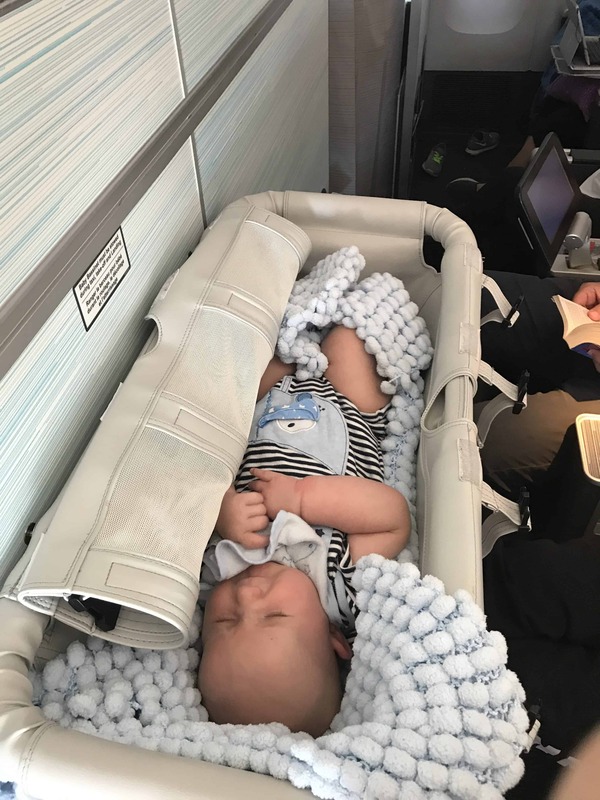 If however you did not manage to get the airline’s bassinet this SkyBaby Travel Mattress is a fantastic option for keeping baby comfortable and cozy on the plane. to shine on things and we got hours of entertainment out of that. If all else fails we find that the cups on the aeroplane and a napkin can provide endless fun! and in some cases a travel cot. You may prefer to take the buggy to the door of the plane and most airlines will allow this. The airline staff will take the buggy to the stowaway as you board. In some cases it may be available as you disembark or it may come out on the luggage belt. If at this point you haven’t secured a bulk head seat you should ask the person checking you in if there are any extra seats on the plane. On an emptier flight they might have mercy on you and give you a row with an empty seat so that your little one has room to move around or lay down and sleep. So you have checked in, what next? can really make things easier. Also, don’t hesitate to ask others for help! Reach out to airport security or other travelers – learning to ask for help when you need it (before the situation devolves) is key. 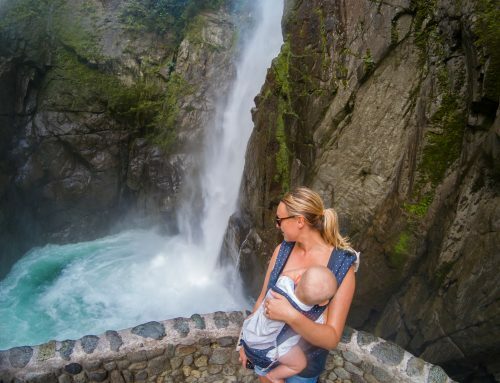 Check out our top ten tips for travelling as a solo parent here. Once you get through security some airports will have a parent room, where you can change nappies, heat food and I have even seen private rooms for nursing mothers. Some of these will even have sectioned off areas with cribs where you can have some quiet time. I can not say I have seen this in all airports but it is worth checking out the facilities. You can find out ahead of time on the airport’s website whether they have a one and if so where it is located. 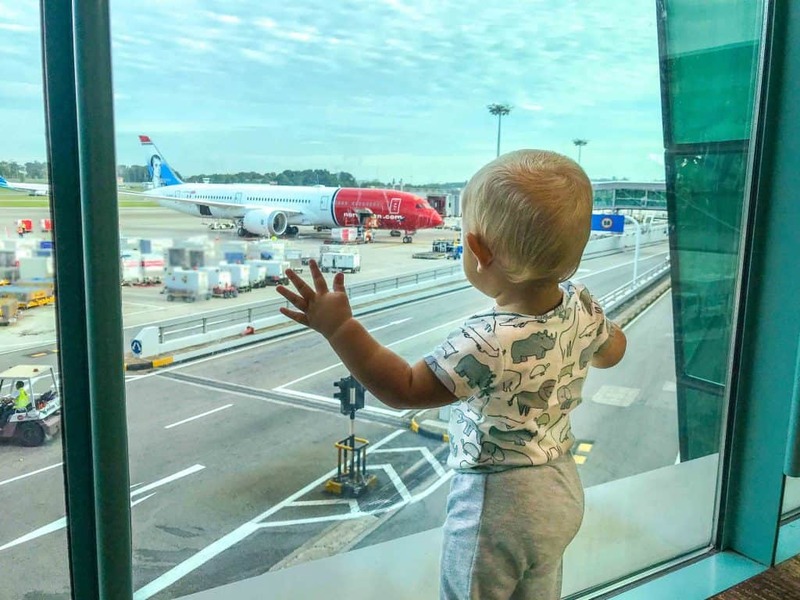 When it is time to board, airline staff are keen to have young families board first. Sometimes this may be inconvenient, particularly if your little one is quite active. It may be best to board last if possible to reduce the time in a confined space. If your little one is under the age of 2, they will need to be on your lap for take off, landing, and whenever the seat belt sign is on. On European flights you will be given a seat belt extension to securely fasten your baby to your seat belt. This will be provided by cabin crew. Having to fasten your baby’s seat belt when you have just got your little one to sleep in their bassinet can be heartbreaking. However rules are rules! If you do not have a bulk head seat, baby must be on your lap for the duration of the flight. Remember, when flying with a baby, the pressure may build up in their ears during ascent and descent. Having your baby nurse or giving them a bottle or dummy will help. The swallow mechanism will relieve the pressure. If you are flying with baby alone, make sure to ask for help. Cabin crew may be willing to hold your baby for bathroom trips and meal times. Ensure you keep yourself and your baby well hydrated. The low humidity can be quite dehydrating. This is of particular importance if you are nursing. Nursing on board can be a little challenging, particularly with a slightly bigger baby. I have found mastering the jockey position useful for flights (baby straddles your knee). I found there is less room for your arms when cradling baby to nurse. If you need food or milk heated, cabin crew will be happy to help. If your baby is agitated or upset, taking them for a walk up and down the aisle can help distract. Very often flight attendants will also allow you to set your baby down in the back part of the plane where there is a little more room for them to move around. Make sure to have your toys on hand (see list above in the preparing for ‘flying with a baby section’) . If you need to change a nappy all planes have a changing table that folds down in the bathroom. Older planes can be quite cramped so only bring what you need to the bathroom. If your little one is asleep, sit back, relax and have a wine! Complete your arrivals card in advance. The best time to do it is while your child sleeps on the plane, if you can manage it. Make sure to declare baby food if necessary. Once you land some airports provide courtesy buggies for transit. Be aware that there are often additional security checks during an airport transit. If you are in transit and have some spare time it is an ideal opportunity to give your little one a freshen-up. I am sure they feel sticky after flying, just like us! If you’ve checked and the airport you will be arriving in does not have a parents room then just throw a blanket down on the floor in an appropriate place and let them have a little stretch and a kick before the next flight. Ready to book your next trip? Find great deals on flights, travel insurance, hotels, reliable internet and rental cars! Or get £25 off your first stay with AirBnb! Have you found this information helpful? We would be so grateful if you could give a small token of appreciation by becoming a patron which you can check out here. What is a patron you may ask? In this digital age there is a demand for immediate information online. Being a patron is a new-age way of giving back for the information, which takes time to put together with no financial return. It’s the very same as Go Fund Me. 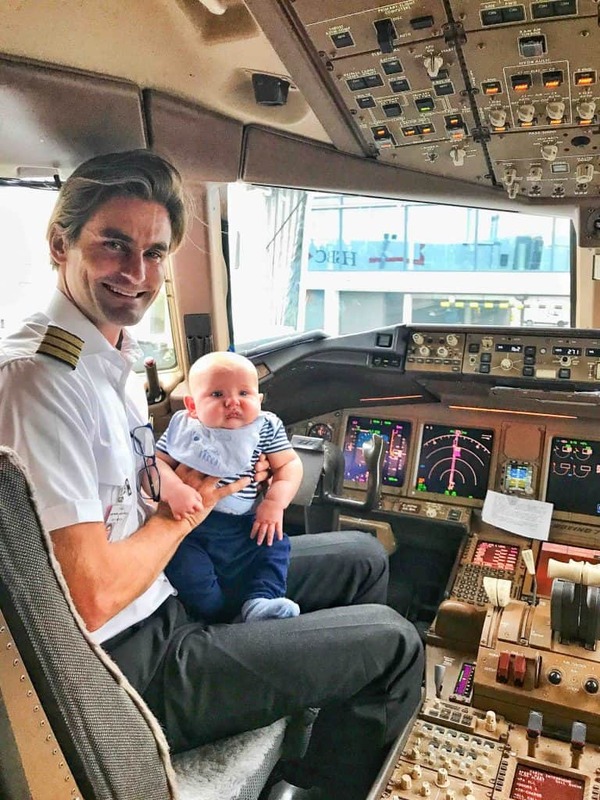 Have you experienced flying with a baby? Share your tips in the comment box below. I love hearing from you! I just wanted to thank you so much for this blog! My husband and I are getting ready to have our first baby and right before the baby is born his parents are leaving for Guam for 5 years. We are making plans to visit them when the baby is 3-5 months old but with a daunting 13 hour flight ahead of us I’ve been alternating between confidence and confidently sure that I’m insane. Reading your posts makes me feel that it is possible to be prepared and make this a memorable trip! This is fabulous – we are heading away to Asia (from NZ) next month with our 6 month old. So many questions answered! Thank You so much! Such great tips! We have travelled in the first 2 months of babies life so plane bassinets were a good fit although being a long baby she was nearly out of it at 2months. We are doing long haul NZ to UK when she is 16 months. What do you recommend for her getting a comfy sleep? does she have her own seat? No unfortunately, as it hikes the cost up so much. Can I ask if you have asked for a bassinet in your booking. Do you check in online when it opens or do you just check in at the airport? I just worry if we end up missing out on a bassinet when we check in at the airport we may not have many options for seats because most check in online 24 hours beforehand. (I know that bassinets are usually given to come first come first serve at the airport). I am not planning to take a stroller or a car seat for my first international trip – just a baby carrier (Bjorn). But I have doubts, as I have never done that before, but feel like I don’t need to carry extra “luggage” by carrying a car seat or a stroller along with a baby bag, as I am travelling alone. wide awake wondering what happens at the airport today when we take our 3 month old on her first flight when you pop a handy link in your Instagram story! Thank you ? Hello, firstly I wanted to thank you for your blog it’s so inspiring. 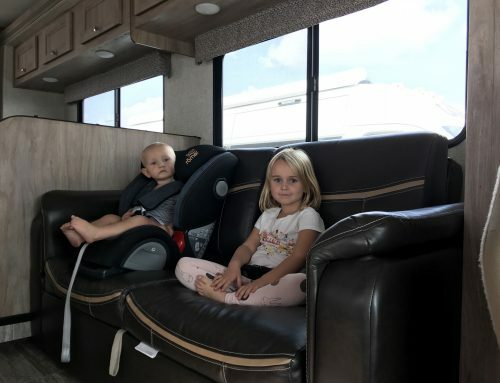 How old was your little one during your first trip and where it was? 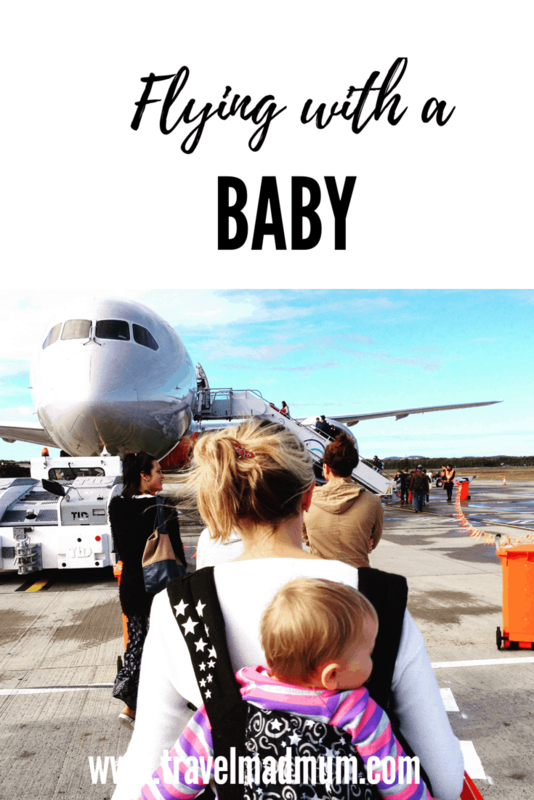 Amazing tips.. very helpful information for new mums like me.. we are heading to Canada with the baby it’s his first flight so i need all of this information & the comfy that he can make it cross-country without us losing our minds.